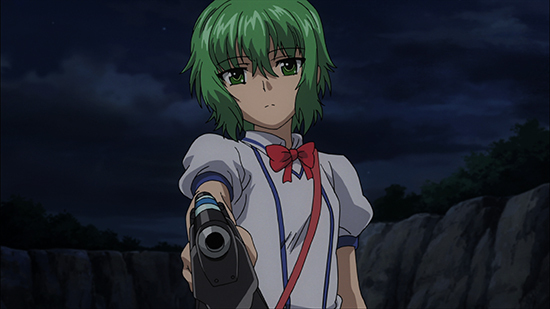 The coolest thing about green haired anime characters is that there is no specific trait they all share, but they all tend to be intrinsically unique! 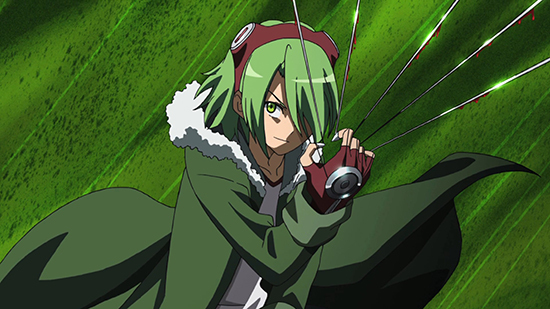 With each boasting an entirely different personality and story, you’ll have to watch each show to grasp the full range of what these green haired characters have to offer. 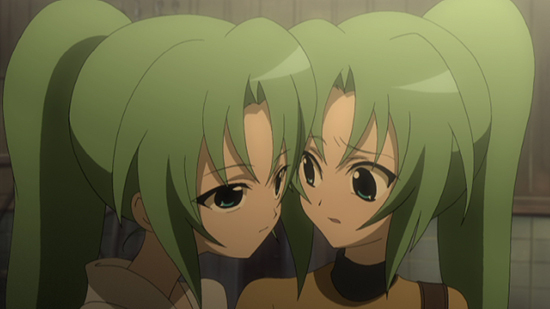 At first sight, these two green haired girls are simply cute twins, so sweet that you might think they’re from a moe show, or perhaps a shoujo. That couldn’t be farther from the truth. These two sisters may be identical and adorable, but they harbor psychotic tendencies, as does the majority of the When They Cry cast. However, the neurosis is not entirely their fault, and the mystery of their insanity is a major theme throughout the When They Cry series. Assigned to keep watch over the recently prophesied Demon King, Kurome’s awkwardly standoffish demeanor is related to the fact that she’s actually a robot. However, her dry humor and often comical misunderstandings of human interactions only make her more adorable. No green haired anime character list would be complete without Lubbock. Equipped with the Imperial Arms Cross Tail, sharp wires that can be used in various ways, Lubbock is a primary member of Night Raid. An easygoing nature, peppered with the occasional perverted comment, makes Lubbock a genuinely fun character to engage with. This laidback nature contradicts his deep, profound loyalty to Najenda, the leader of Night Raid. A bit of a tsundere, Akari attempts to remain calm and collected at all times, but certain circumstances sometimes elicit more explosive behavior. Despite her random jealous bouts regarding her adopted brother, Toru, Akari values her family ties (blood or not) above nearly everything. 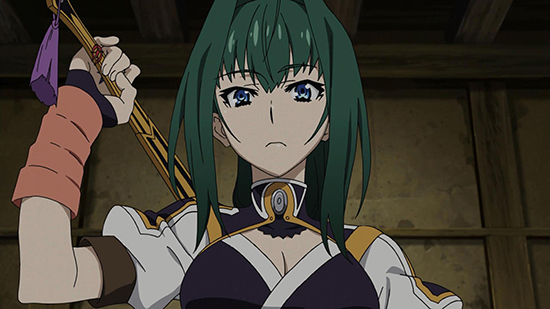 More often than not, however, her rationality balances her brother’s more intense temperament - especially in battle and as they aid Chaika in her quest. Admittedly, Suu is all slime, not really “hair”, but we couldn’t leave her out! Cute and adaptable, Suu can absorb water to make herself bigger, and gets extremely… desperate when she doesn’t have enough water. We can’t blame her for that though; it’s just part of her nature as a slime. 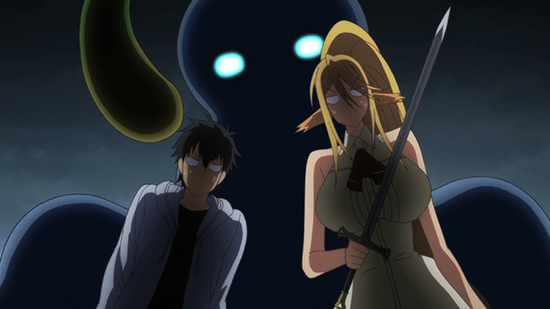 The truth is, not much is known about slimes, even in the world of monster girls. However, we don’t need to know much for Suu to have a place in our hearts! 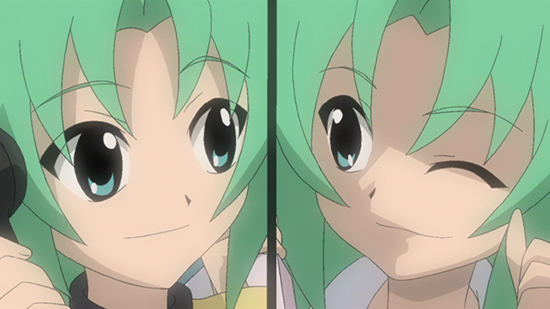 Unless that side has anime AND characters with green hair, then that one is definitely greener. 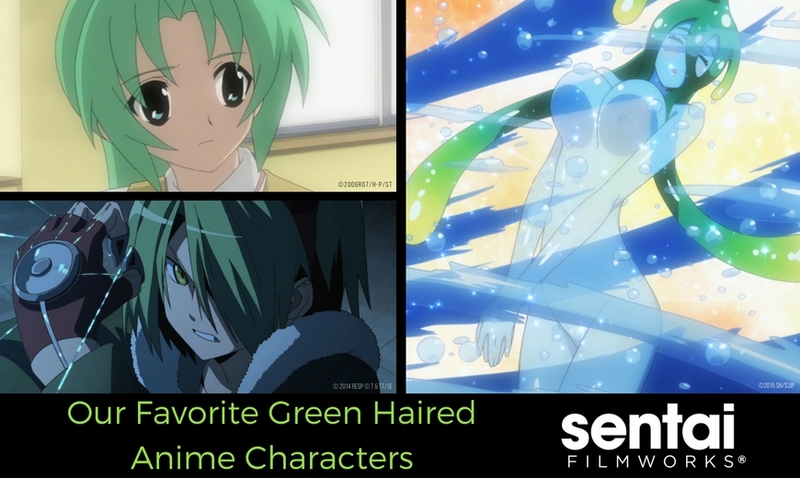 Let us know who YOUR favorite green haired anime character is via Facebook, Twitter, Tumblr, and Google+!